Well it’s not the only way but it’s what we do at S2C and I know I keep going on about the benefits of being creative but then I have witnessed how it helps both personally and professionally (as it were). Somebody else seems to appreciate that too, at the end of the coming week some of our team are off up to Keswick to The Theatre By The Lake to find out if we can go one better than finalists in the Cumbria Culture Awards for Community Art Group. Keep a few things crossed for us. I feel that the recognition from this is in some way a reflection of our steady growth and increasing ability to help more people both directly and by providing the space and resources for other groups to run. There are a lot of very exciting projects and collaborations lined up for the coming year so it looks like being another good one. One thing we are aiming to do is to change our volunteer, admin and gallery working to better support our service users and to be able to offer more in terms of the services we provide and the number of people we work with. Sometimes with volunteers it has been difficult recently in that we are in an odd position. In one sense we have too many in terms of being in sessions and supporting service users during sessions yet at the same time if we do more we will need more of these kind of volunteer. On the other side in order to develop the service we don’t have enough volunteers doing the behind the scenes work, fundraising, admin, gallery and exhibition work, cleaning the non glamorous yet essential roles. It’s a slow burn in some cases. We need to get volunteers in certain roles but at first the role will seem quiet and unuseful but by being there the role will allow the development which means it grows and becomes vital! It’s the old chicken and egg conundrum. Starting the year with a quote from a giant tortoise………? Managers Blog: Starting the year with a quote from a giant tortoise………? I would like to start this post with a quote from Kung Fu Panda (Of course I watch that kind of thing! I could blame the nephews but I am a sucker for a good animation (ok may not be good but I’m easy)). The Giant tortoise delivers a quote “….the past is history, the future a mystery and today is the present which is why it is a gift.” We made it to today. Through all the trials and difficulties everyone faced, the politics, the illness, the losses the gains, the good stuff and the bad stuff. I guess I am trying to say we should all be thankful to be. Despite everything you have been through in the last twelve months you are still going. So I wont recount the history. 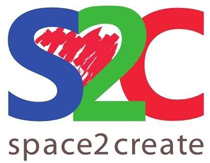 The present is that S2C is still going and will carry on delivering community based, socially interactive, positive, friendly, mutually supportive creative sessions to help support and occupy those in need of support. That is our gift to those vulnerable people out there who need a friendly face to see and a welcoming place to go to. I wish all who read this a very positive, joy filled, successful and creative 2017. Which leads to the future mystery. Well it is mostly mystery. For S2C there are lots of exciting potential projects and collaborations that will benefit our service users and volunteers in the pipeline. The potential too, to extend and develop the range of support we give in the community, on the Kentmere ward and at our Unit. Lots of exciting things ahead! Jan-Mar “Filigree & Shadow” a collaboration between Polly Winder, Kevin Hankey and Mat JimDogArt featuring textile collage, prints, oil paintings, 3D conceptual pieces and etchings. Other exhibitions are also in the works but to be organised for definite.